The camcorder’s advanced functionality is defined by its 29.5mm/F1.8 lens that allows the operator to fit more people and background into the frame, especially useful in narrow spaces. 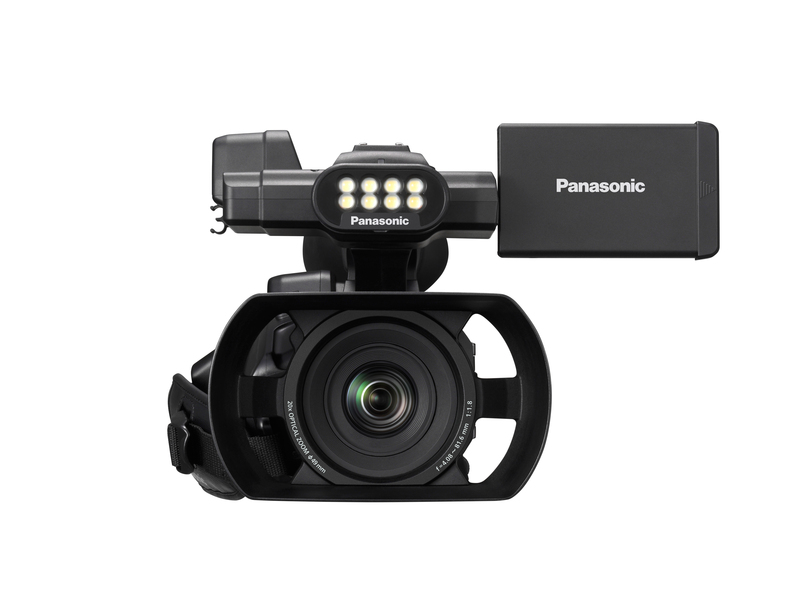 Its powerful 20x optical/40x super-high resolution zoom facilitates shooting scenes that are difficult to access. The effective area of the AC30’s 1/3.1-inch Back Side Illumination (BSI) sensor has been increased to achieve the high-image quality of 6.03M effective pixels, producing bright, beautiful shots even in dark places. The sensor’s processing speed is advanced to approximately 1.5 times conventional speed, and a new Noise Reduction function reduces noise for crisp, vibrant FHD images. The built-in LED Light – featuring color conversion and diffusion filters and an average illumination of 300 lux at 3.3 feet (1 meter) -- is ideal for shooting events like nighttime weddings. With dual SD card slots and the capability to record on both cards simultaneously, the AC30’s Relay Auto Switch functionality provides dependable back-up recording or the ability to switch from one card to the other for extended recording times. The AC30 records in AVCHD to 28Mbps and MP4/MOV to 50Mbps. 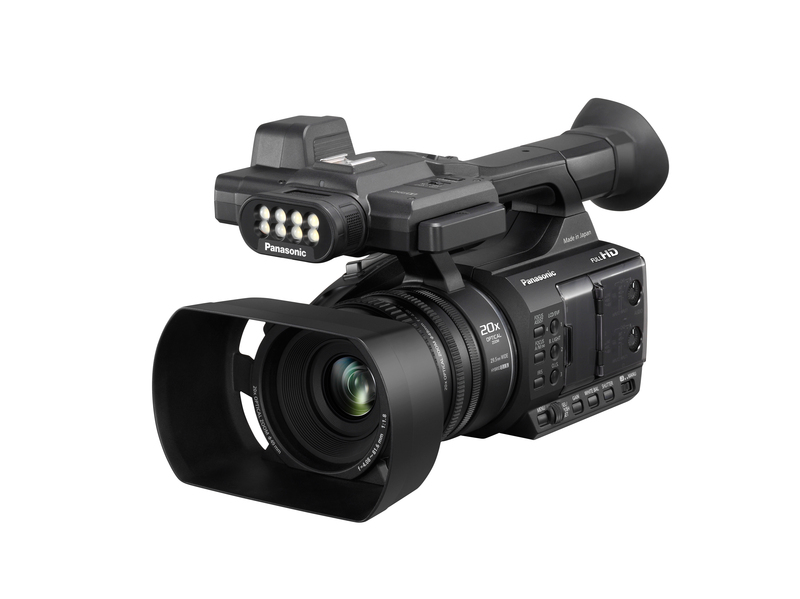 The camcorder incorporates Intelligent AF (Auto Focus) with improvements in speed, tracking and stability. Focus assist functions include Focus Expand, Focus Peaking and Area Mode, which enables focusing in any desired area. Professional assist functions include a histogram display, color bar monitor and zebra pattern. Other key features encompass powerful 5-Axis Hybrid Optical Image Stabilization (O.I.S) that thoroughly suppresses blurring all the way from wide-angle to powerful zoom shots, and a three-manual, multi-purpose lens ring that provides fine adjustments and precise control of Focus, Zoom and Iris. An illuminating LED ring allows recording verification and serves as a tally light to make shooting smoother. The AC30 offers a new 0.24-inch, 1.55 million-dot EVF, which can be tilted for added convenience. The versatile three-inch, slide-retractable LCD can serve as HD monitor and menu-setting touch panel. The two-channel XLR audio inputs enable the use of professional, high-performance microphones for recording high-quality sound, including connection to mics requiring a +48V phantom power supply and to audio equipment with +4dB output. 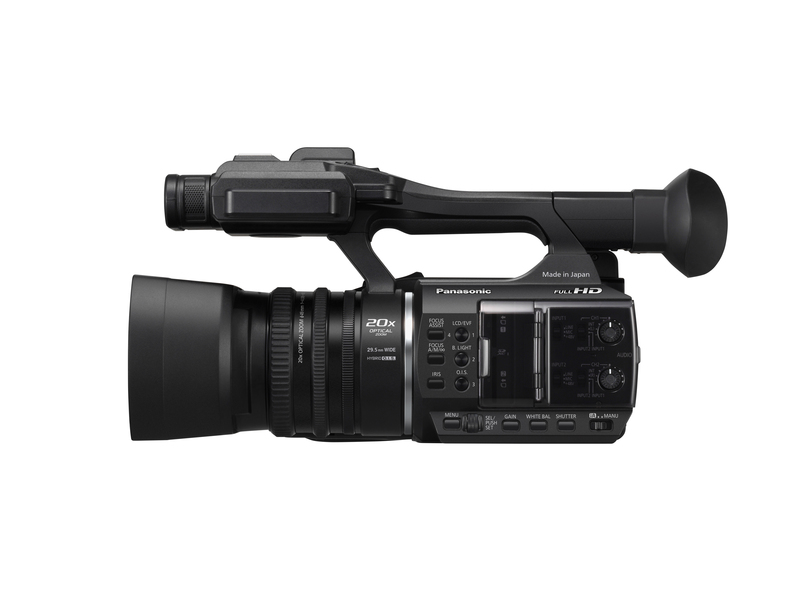 The camcorder is also equipped with an HDMI interface. The AC30 weighs just over three pounds. 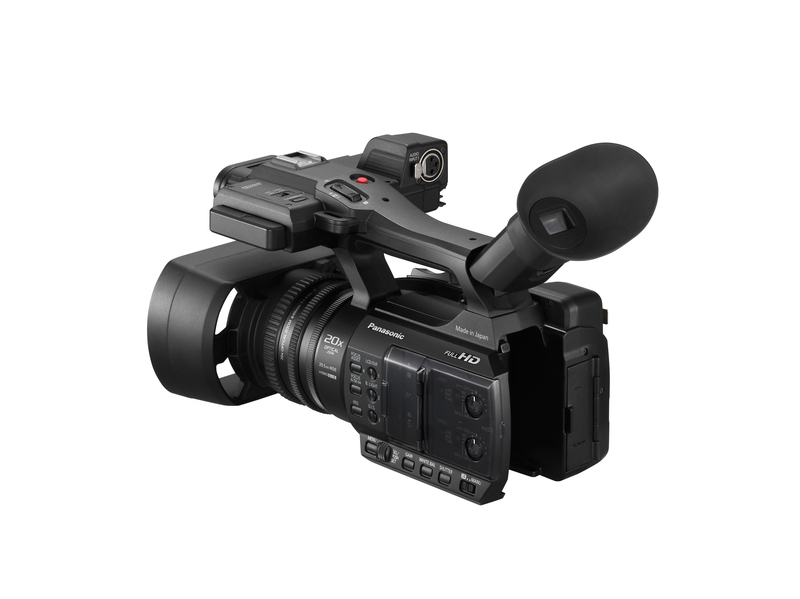 A lightweight, durable magnesium-alloy frame is used for the camcorder handle, increasing strength, and a large lens hood blocks light more effectively to reduce lens flare while permitting subjects to be seen from behind the hood.